The City of Sydney’s wonderful cycle paths have become a political football in the upcoming local government elections. The NSW Roads Minister (perhaps aka Minister for Trucks and Cars) says the paths should be moved because they slow traffic. Various local politicians have said they should be removed because they slow traffic or reduce the opportunity for parking. My own view is that the cycle paths are crucial part of the mix if we want to ever change the nature of the way Sydney works as a City. But that’s not the point of this article – what I’m concerned about here is the abysmal level of analysis being undertaken. The Roads Minister has based his decision on his own view of the traffic flow. His view runs counter to the advice given him by his own expert staff who categorically state that the bike paths do not impede the traffic flow and in fact might marginally improve it. There is hardly a better example of a politician willfully ignoring the advice of the experts who actually know what they are talking about. This is exactly the problem that the Geek the Vote project is trying to address. Many of the local politicians I hear interviewed recount their own drives down the street and how they don’t see many cyclists using the paths – as if that experience translates into some global law. The number of users does not need to be judged on an individual’s morning drive – there are published figures. There is evidence to work from which is being ignored so conclusions are being drawn from rhetoric, not from facts. The problem with the evidence is that it’s inconvenient in that it shows that the usage of the paths has increased significantly and aligns with the utility of the network created. If you create a useful network of paths that allow people to get places they want to go, more people use them. Do the figures show thousands of cars being taken off the road? No, or at least not yet. You see that’s the second point. You can’t judge the cycle paths in any sensible fashion based on a year or two of activity. There are two main factors that will impact on people’s willingness to cycle in a city like Sydney. The first is the network of safe, convenient paths; the second is the destination facilities. Realistically a significant element in your decision, should you be contemplating a ride to work, is whether there is somewhere to park your bike and have a shower at the other end. These facilities don’t get created overnight – the infrastructure that our car system depends on was developed over a century and with the backing of major money and vested interests. To judge a shift to cycling based solely on current numbers after a couple of years is simply to cut the experiment short before giving it a chance. And that brings me to my final point, part of the scientific method is to have a clear picture of the outcome you are judging. The problem here is that there is a lack of clarity by which to judge what is being done. Is our aim to move more cars into the city? Is it to give people a viable, healthy alternative means of transport? Is it to make Sydney a more civilized place to live? You see? It could be any or none of those things. Right now though many people are judging the success of the cycle paths solely on the number of people the see using them as they drive past. And if that’s our measure of success the question begged is: how many people do you need to see to consider the experiment a success? Let’s assume the cycle paths are an experiment: We set up a hypothesis; we create a way of testing it; we gather evidence; we adjust. That would be a rational way forward. Instead what we now appear to be doing is to ignore any evidence, take a position and manipulate the outcome to match our preconceived notions. And that’s the difference between science and politics. The Geek the Vote project is running for another 10 days and they still need lots more help to get our Federal politicians a copy of The Geek Manifesto. 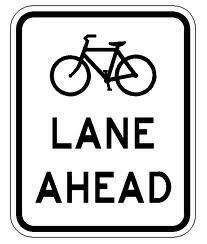 It wont help the cycle paths but it might help the quality of political decision-making in Australia.